At a recent photo shoot, we went (literally) underneath the Santa Monica pier to get the shot! Here is photographer Stewart Volland and his crew taking the perfect shot of fitness model Melissa Pittman. Sometimes you have to get wet to make sure you get the perfect shot – and that's what we did in LA! Just finished a segment with Frankie Boyer of Boston's Frankie Boyer Show and what a blast! I was invited on her show to talk about my book Pick It Kick It and I have to say it was a unique experience! She was babysitting two dogs and they created such a ruckus that, at one point in the interview, she had to explain to her listeners about the challenges of babysitting a couple of dogs who were miffed about each other's presence. During commercial breaks, Frankie and I would chat back and forth, at times over the melee....hilarious! But tons of fun! 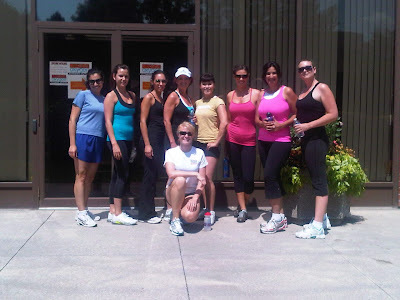 Have a great weekend – summer's almost over so get outside and get moving!!!!! I never realized how few calories I consume on a daily until I started keeping a food diary. I was trying to lose weight and hitting the gym frequently, however the weight just would not come off! After looking at my daily caloric intake I was shocked. Some days I consumed as little as 600 calories, not intentionally but simply based on my busy schedule. My average caloric intake was around 900. Obviously NOT ENOUGH for someone working out and trying to lose weight! This is a major problem and one that I believe more women suffer from but are probably unaware of how severe a problem this is. Gotta tell you, I love working with photographers – Paul Buceta, Robert Reiff, Cory Sorensen and many more! LA-based Stewart Volland is also a fave of ours here at Oxygen and so I tried (not very successfully, I admit) to take his picture shooting model Melissa Pittman at our most recent shoot – here it is!!!!! Just back from the IDEA conference in LA and what an inspiration it was! Great to see Oxygen advisory board members presenting the latest research and exercise science - we all came back with tons of (gulp) ideas!!!!! I also wanted to thank you again for posting so many helpful ways you stay motivated - our next Oxygen special issue Off the Couch! Motivation for Real Women is on stands this fall and we've packed it with tons of motivating tips from real women like you! Stay tuned! p.s. here's a photo of model Melissa Pittman and me after working on the beach on our photo shoot following the conference! Pick up a copy - she's in it! Twice a week, some of us at Robert Kennedy Publishing take to the streets. 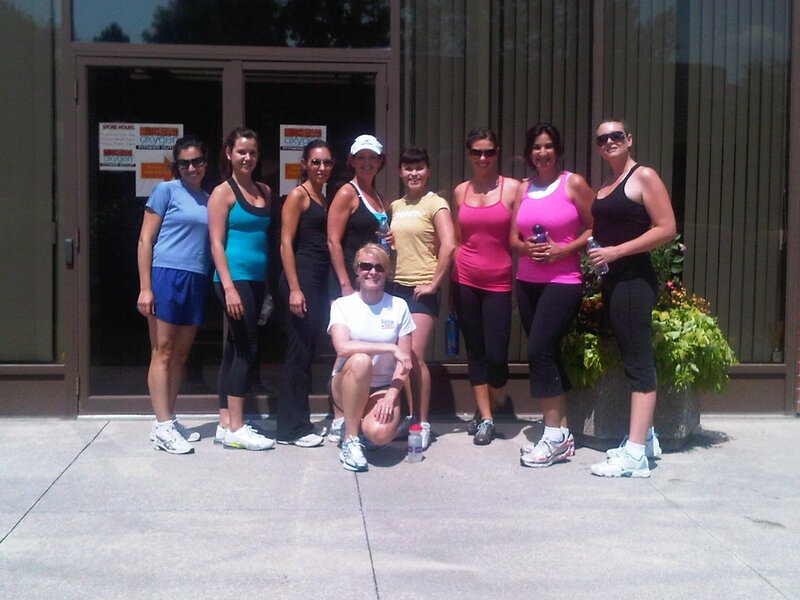 Our new running group proves there's lots more you can do than eat on your lunch break! Talk about motivation for each other. We love it! Anyone who's ever been on set for a photo or video shoot knows there is a lot of stand-around-and-wait-time for technicalities (mostly lighting) to be just so. To keep himself occupied on set, Beverly Hills 90210 alum (and most recently Mr. Megan Fox) Brian Austin Green enjoyed a peak at Oxygen's newest Glutes cover. Check out Green's reaction to cover girl Jamie Eason's tight and toned posterior. Getting fit is one thing – staying fit is another. We want to know what (or who) motivates you to stay fit? Please let me know here! You may your see comments in our upcoming issue of Off The Couch.